Watch our YouTube video about the safe use of mobility scooters. Find out more by visiting us online. 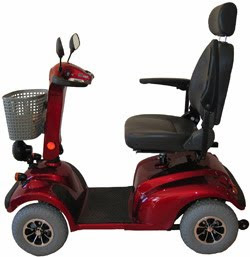 Find out more about the mobility scooters and the products we supply by visiting us online. Why pay premium prices from your local mobility scooter shop when we import direct from the manufacturers and offer quality products direct to the public at wholesale prices cutting out the middlemen? Each link in a normal supply chain adds on it's cut - fewer links means a bargain & cheaper prices to you! Visit Mobility Nation to view the range of products we supply, including portable mobility scooters, car transportable mobility scooters and lightweight mobility scooters.